Having no credit can translate into low credit scores. Can I Qualify For Home Loan With Bad Credit? Home buyers can qualify for home loan with bad credit. Traditional Credit Tradelines are creditors who report the consumer payment history to all three credit bureaus. Non-Traditional Credit Tradelines are creditors who do not report the consumer payment history to all three credit bureaus. Credit scores are derived by the creditor reporting credit payment history to the three credit bureaus. Home buyers who have low credit scores and want to establish and boost their credit to qualify for mortgage should start to establish credit. 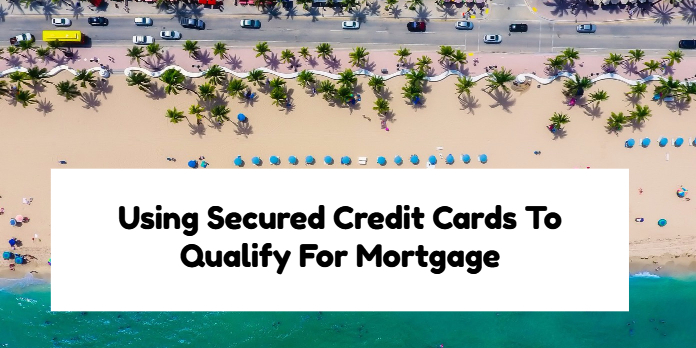 The secured credit card company will charge you a nominal application fee and will charge you interest on the balance on the credit card every month. How Many Secured Credit Cards Is Recommended? Try to get 3 secured credit card with $500 credit limits.